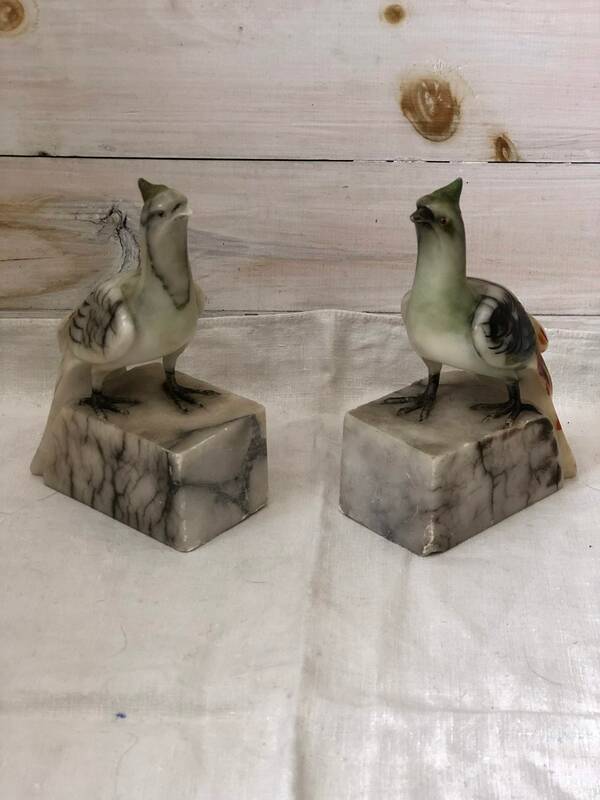 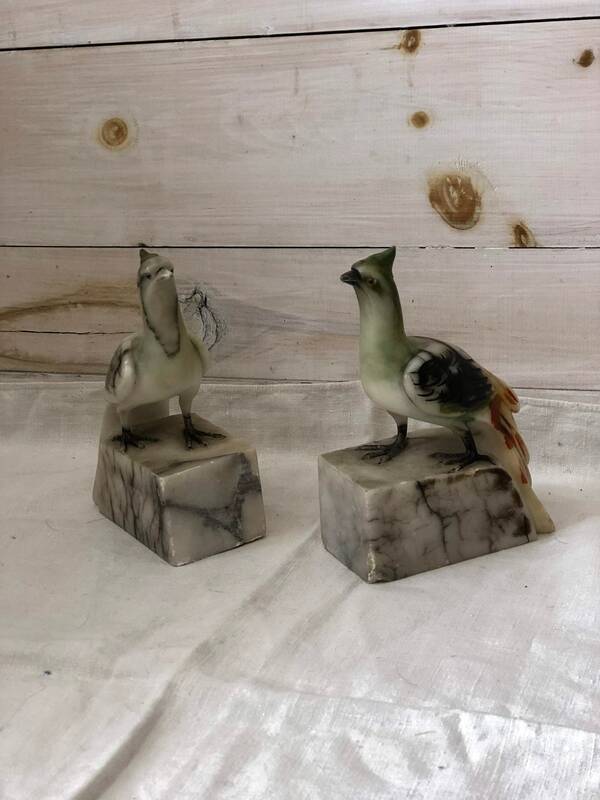 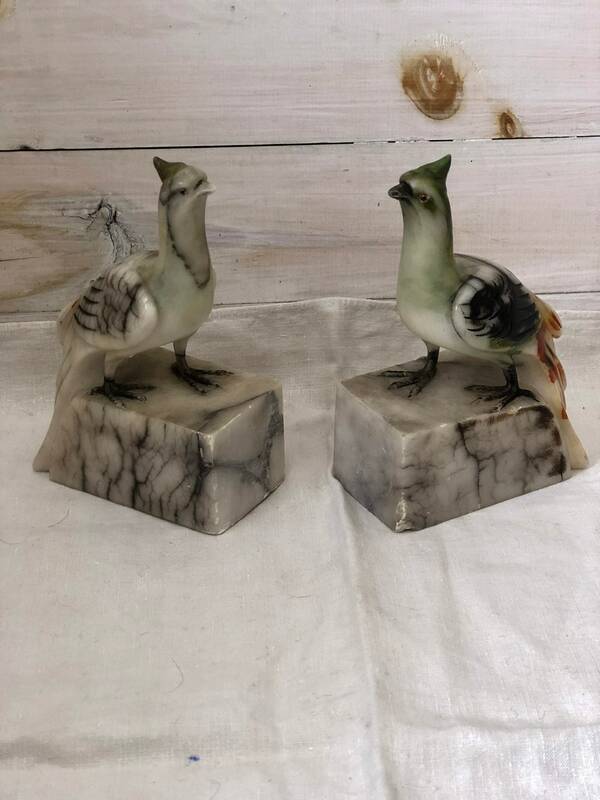 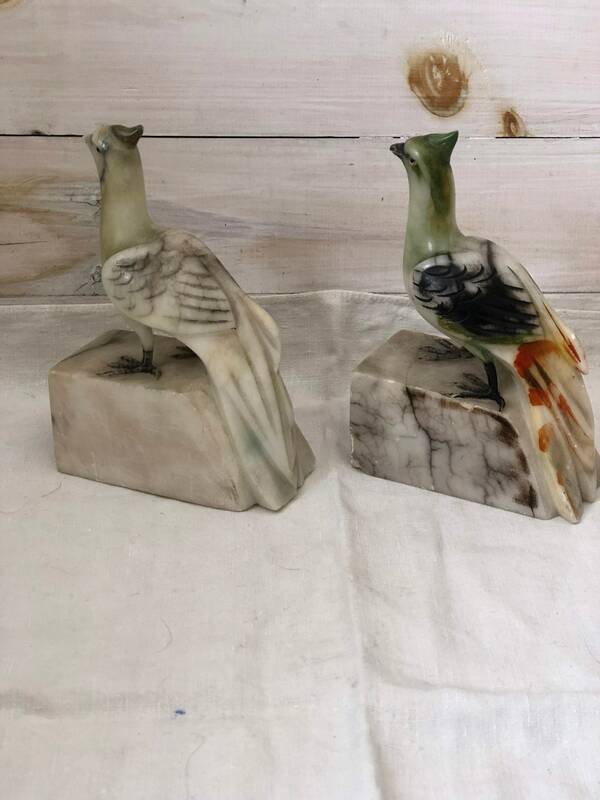 Vintage stone bird bookends, good condition, some variation in paint between the two, but a great pair none the less. 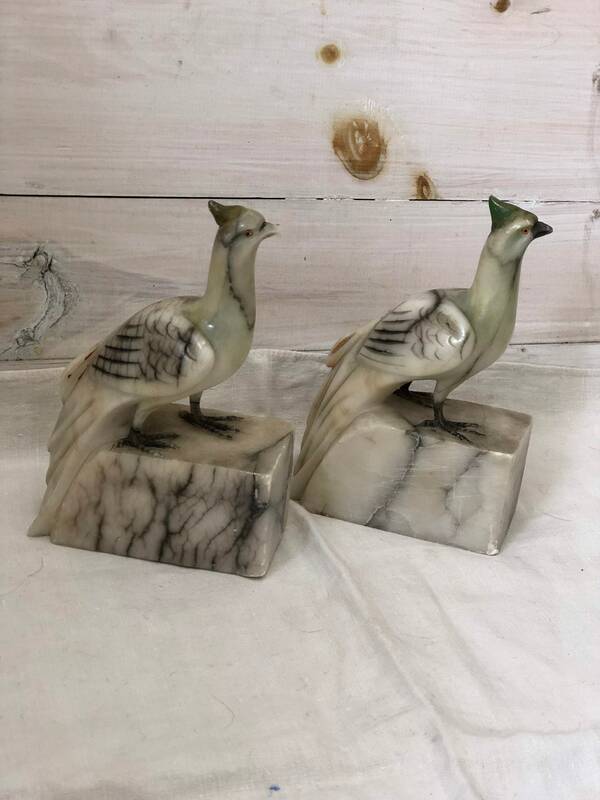 Made from very heavy stone, possibly marble. 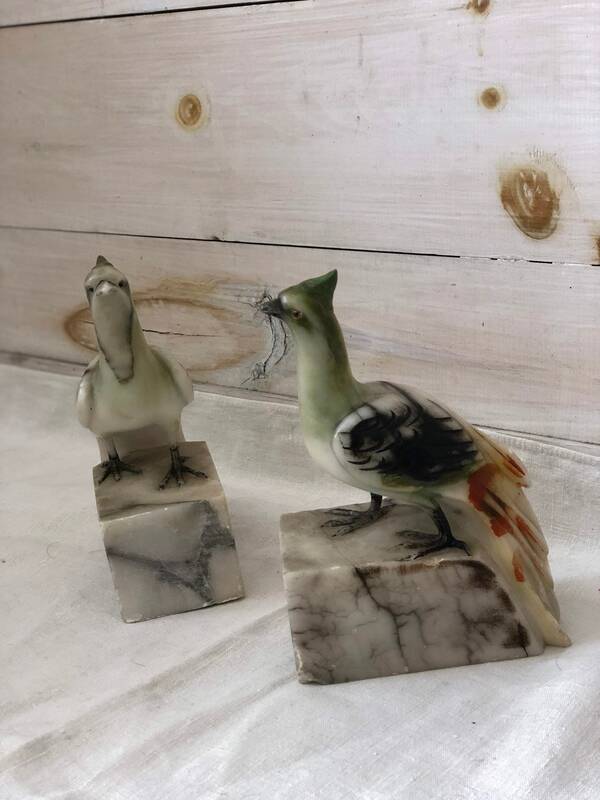 Each bird measures 7” tall by 5” deep by 2.5” wide.